Transmission fluid plays a vital role in your car’s transmission. For manual transmissions, the fluid acts as a lubricant. In automatic transmissions, it’s even more important. For much of your driving, the transmission fluid is actually carrying power from your engine to the transmission. In either type of transmission, though, fluid breakdowns can result in damage to the transmission. Look in your owner’s manual for how to check your transmission fluid. It should be at the proper level, and it should be red, sweet-smelling, and viscous. If it’s dark, burnt-smelling, or thin, you need a change, and hopefully it’s not too late to prevent transmission damage. Transmission fluid changes need to be handled delicately by a certified transmission expert with the proper tools to do the job right. 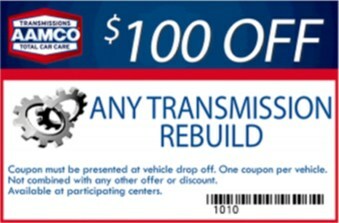 If you are in the Plano area, or email AAMCO Transmission and Auto Repair of Plano today for an appointment. Rub your hands together. Feel the heat? That’s friction. Although transmission fluid is designed to reduce friction in your transmission, it doesn’t eliminate it. When your car is running, especially under extreme operating conditions, the heat from friction can elevate the temperatures in your transmission to 200 degrees or more. That’s hot enough to burn transmission fluid and break it down. As it breaks down, transmission fluid can be deposited on transmission parts, it can lose performance, and even damage the transmission. 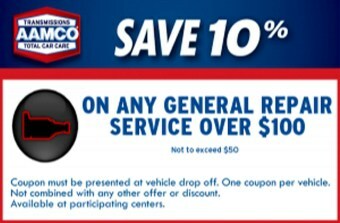 Although many transmission fluids are rated for 100,000 miles or more, hard driving conditions can cut that down to 25,000 miles or less. The only way to know for sure if you need a change is to check your fluid regularly, or, better yet, have it checked by an expert, and reduce the risk that you’ll need more serious transmission repair later. Your transmission operates under a very tight tolerance. The transmission fluid has to be properly drained, the transmission flushed, and then sealed properly to ensure your transmission continues to function as it should after a fluid change. This takes specialized tools, training, and experience with transmissions. 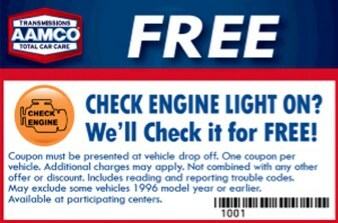 (972) 633-1590 FREE or email AAMCO Transmission and Auto Repair today to schedule an appointment.